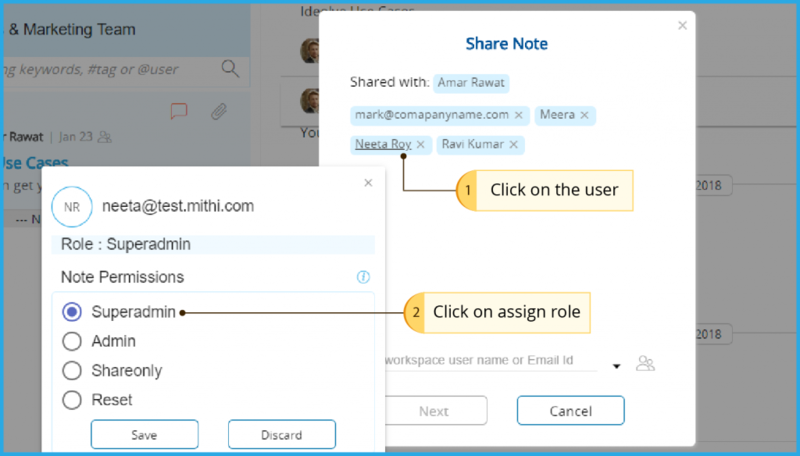 The latest update on Ideolve now allows note owners to assign roles to the users of a note. Assigning roles can help distribute the responsibility among several users for adding or deleting users and publishing notes. The roles can be assigned to any number of users that are a part of the note and can be revoked at any time. For example, if the note owner is away from work or unable to access the note, a super-admin or admin can quickly share the note with someone new and the collaboration can continue in the owners absence. This way, the dependence on one person (the owner) to organize the note is eliminated. We hope that this update comes in use to you.